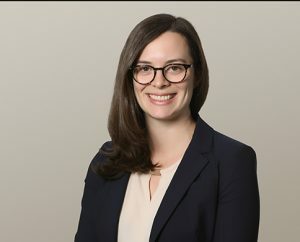 Rosie Jacobs maintains a practice in civil and commercial litigation, with a particular interest in real estate development and municipal law disputes. Before joining Rush Ihas Hardwick LLP, Rosie completed her articles and practiced at a leading local government law firm in Vancouver. Rosie obtained a Bachelor of Arts in English with a minor in Commerce from Dalhousie University in Halifax and completed her Juris Doctor at the University of Victoria in 2015. She was called to the Bar in 2016. During law school, Rosie was an active member of the Environmental Law Club and was a member of the Board of the Environmental Law Centre. She was also a member of the University of Victoria mooting team and competed in the Wilson Moot in 2015. In her spare time, Rosie enjoys kickboxing, cycling and playing the latest board games.